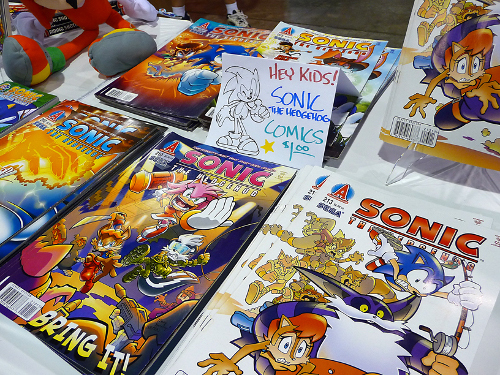 Do you like Sonic comics? A lot of people do, which is why Archie has decided to make a free app that you can download to read them on whatever thing you have which has a lower case ‘i’ at the start of it. As I said, the app itself is free, but the comics themselves cost a small amount of money to read. Still it’d be a good thing if you don’t want to slug around Sonic comics on the bus, so you won’t get laughed at. It’s still cool though. I’ve tried the Marvel comic app on my friends iWhatever and I quite liked the way it handled. Still nothing can beat real paper and actually holding the product you’re reading. Guess I’m just old fashioned like that. Hooray! Phantasy Star II coming to iPhone and iPod Touch!